Currently in the market, most good tablet keyboards connect with Bluetooth and come with a protective casing which doubles as a stand. Many of the tablet keyboards are universally compatible for iOS, Android and Windows tablets, but there are also specific designs for certain popular tablets. Depending on where you purchase your keyboard, you should be able to get one of the top models for between US$30-70. With this in mind, let’s take a look at some of the best tablet keyboards available today. The Hip Street Universal Mini Keyboard is the ultimate in versatility when it comes to tablet keyboards. It can be used with any tablet device and it connects via Bluetooth. It’s small, affordable and ready to be taken to classes or meetings. 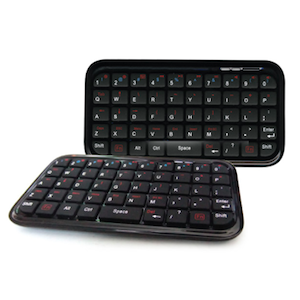 The Hip Street keyboard has a range of up to 10m and needs 3-4 hours to charge. It’s currently retailing between US$26-50. The Logitech keyboards are well-renowned for being excellent. This particular wireless Bluetooth keyboard comes with a case which doubles as a stand which can be used in portrait or landscape mode. A real selling point of this keyboard is that you don’t have to take your tablet out of its case to put it on the stand. This Logitech keyboard retails between US$40-70. There are two varieties available: one designed specifically for an iPad and another designed for Android tablets. Check out the Computerworld review for the Android version and the Gotta Be Mobile review of the iPad version. The Kensington KeyFolio keyboard comes with a case which doubles as a stand. According to many reviews, this is one of the most sophisticated stands available for the iPad. The Keyfolio offers a choice of designs, such as an iPad-specific design or a generic design for any 10″ tablet. So, most tablet users will be able to buy a Kensington KeyFolio keyboard and case to suit their device. Prices range from US$43-100 depending on where you shop. Check out the iLounge review of the iPad version. The Targus Bluetooth keyboard has an integrated ergonomic tilt to make typing more comfortable. The keyboard power can last up to 7 months and has a light indicating low power. It’s universally compatible with iOS, Windows and Android tablets. Prices vary between US$24-70 depending on the store. 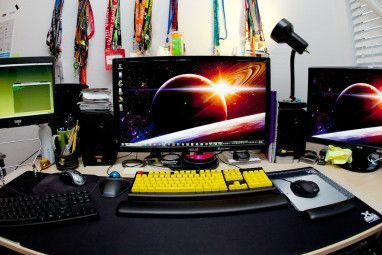 Check out Targus customer reviews of this keyboard. What do you look for in a tablet keyboard? What are the best models you’ve found? Also, tell us how do you (or plan to) put your tablet to work with a keyboard. Explore more about: Android Tablet, Keyboard. Awesome little gadgets. But does anyone of you know if there are "bluetooth adapters" that can give bluetooth to the tablet if it didn't have bluetooth when bought? I bought the ZAGG bluetooth keyboard and it comes with a case the ipad slips into.. Love it My sister liked it so much she bought one for her ipad too. it was forty dollars. Can they be used with android smartphones? Yes. Everything listed here is either universal or has both an Android and an iOS model. What about a Blackberry like chicklet keyboard? Most people wanting an additional keyboard are looking for full size. But if something like that exists I'm sure a few people would be interested! So I've been taking a look around any there are remote like ones for tv-multimedia machines, but most them seem like low quality bad-instructions Chinese cruft. I've actually got one of these Shintaro remote USB keyboards and it rocks. The only thing I wish they'd add is a way to right-click using the right hand too. 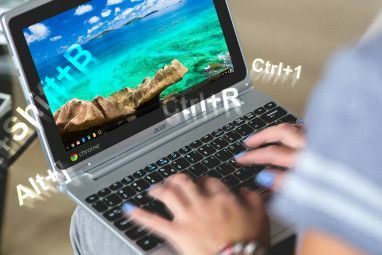 Do they work for Windows computer too and do Bluetooth mouse work on Android devices as well we don't have to buy as much same type electronics . The models listed which are noted as "universal" will work for Windows computers too. The others might also do okay, but since they're optimised for a particular system you can't guarantee it will be what you want. I'm sure there are bluetooth mice you can connect with Android technically. However, I don't know if Android is capable of handling a mouse. You'd need to find out if Android has that sort of accessibility (ie. having a cursor once connected). Yes Android would show a cursor once a mouse is connected and check out http://www.youtube.com/watch?v=j9RkGXVXnW4 for a demo of it . Awesome! Thanks for linking to that!